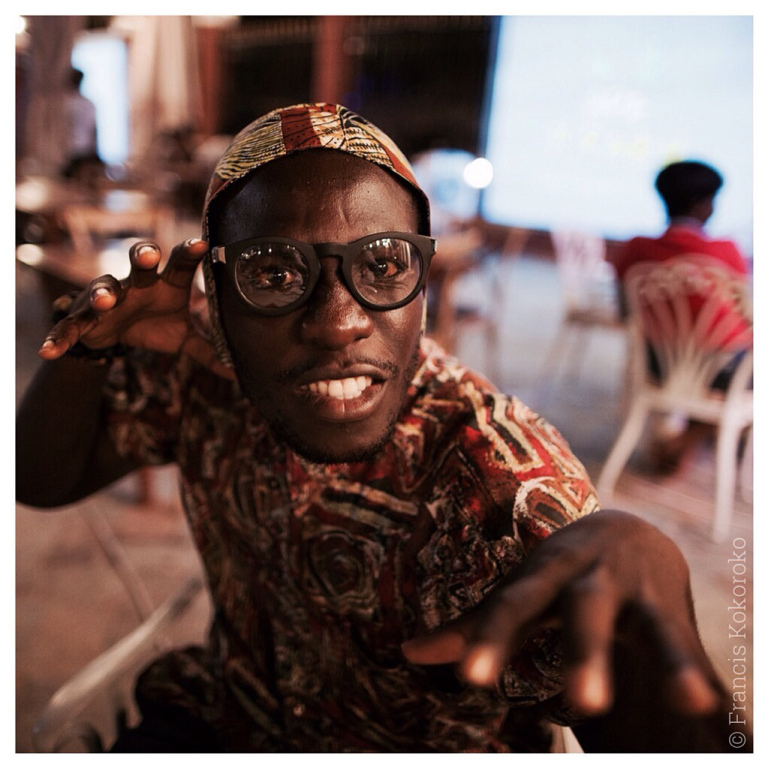 Thirty-year old Evans Mireku Kissi, also known as Steloolive, is a DJ based in Accra with a social media following that counts as many fans of experimental house music as of blipster (black hipster) fashion. 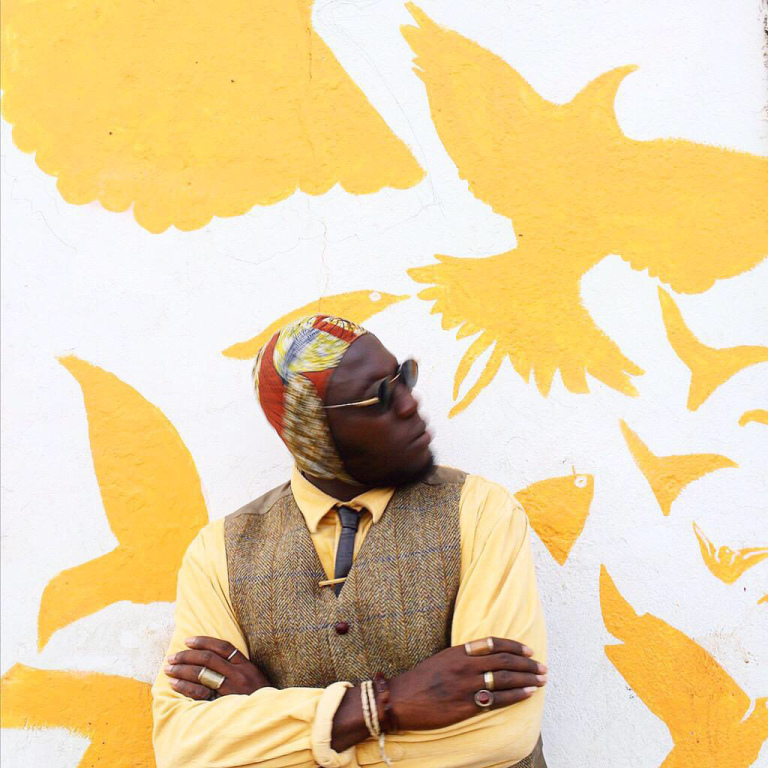 His Tumblr, aptly titled “Transforming brands as a fashion housemusic DJ”, is a repository of iconic shots and variations of a signature style of self-made tailoring influenced by sapologie. 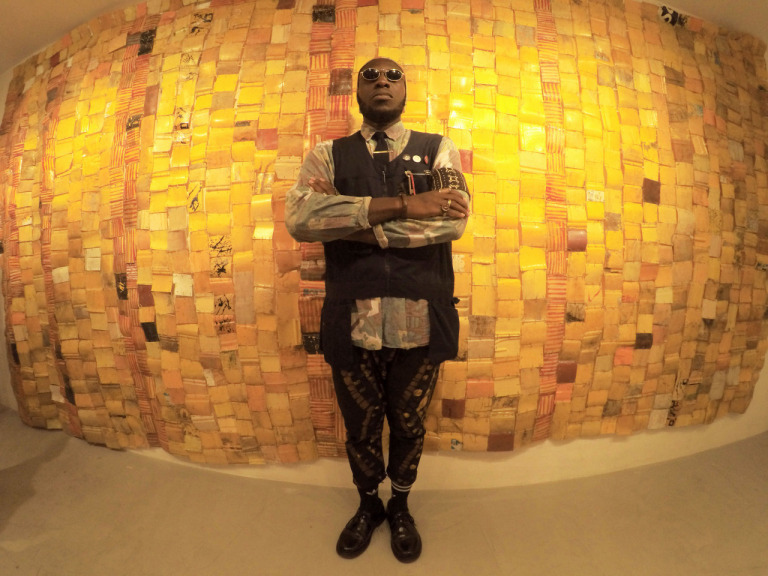 Like his fellow Congolese fashionables, Steelo makes statements about himself through a creative approach to fashion. His looks feature items in patterned textiles like waistcoats paired with denim shirts, thigh-high socks and fitted shorts, overalls, blazers, mismatched suits, torn trousers, and are adorned with accessorizes as difference as braces, gold tie pins, a variety of hats spanning fedoras and form-fitting bonnets in wax cloth, Rayban sunglasses, brogues, etc. 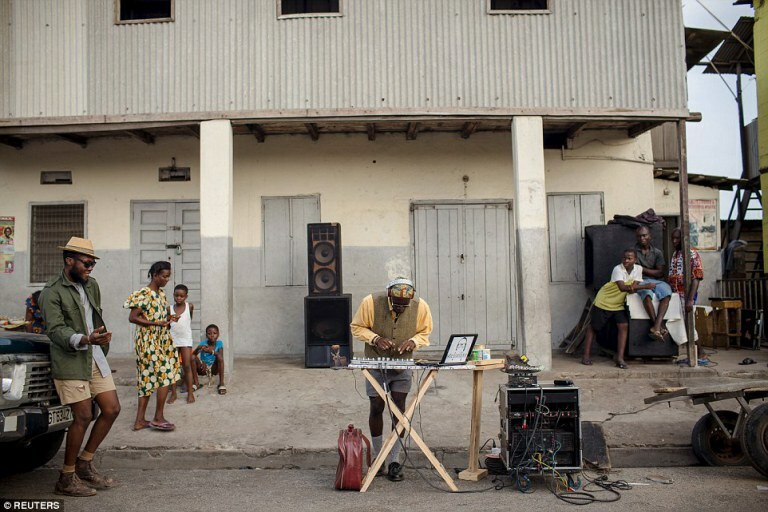 This strategy of self-iconization continues in the streets and on the stages of Africa, where he performs his brand of experimental house music in his flashy looks. 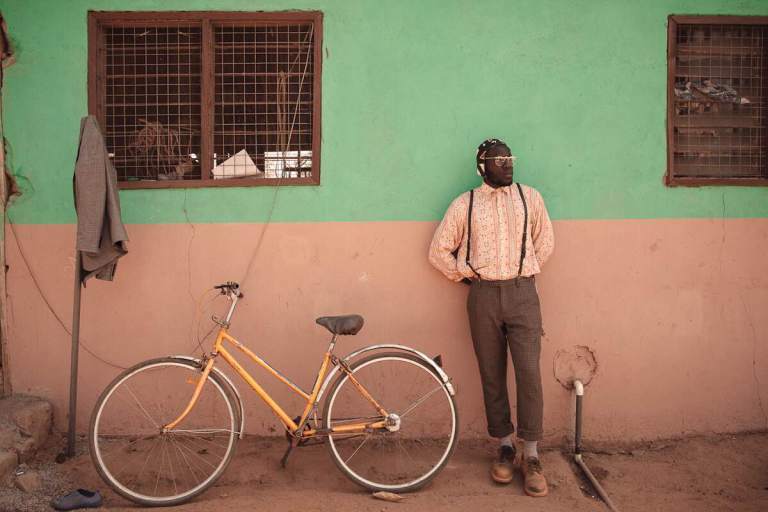 Unlike the sapeurs, Steelo does not favour griffes, expensive or branded items, rather taking inspiration from everyday living and necessities – as when he mounts his turntables on an old ironing board or wears a burnt T-shirt to perform in the streets of Accra. 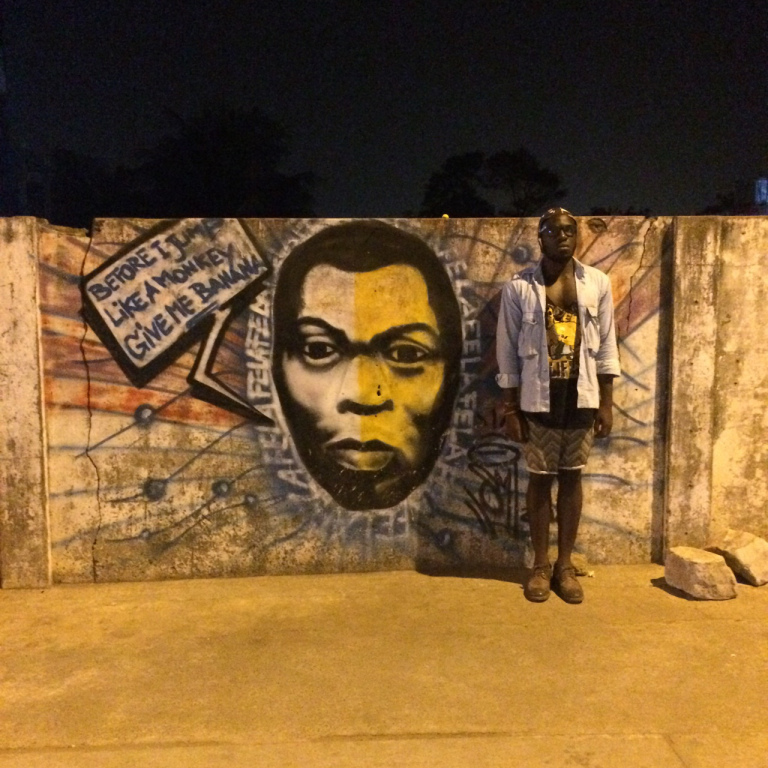 Endorsing the idea that “weird is the new normal” he uses style to invite commentary, prompting others to ask questions and give answers based on self-perception and individual sensibilities on liberation, freedom of expression, African emancipation and the stereotypes that inform Ghanaian sociality. 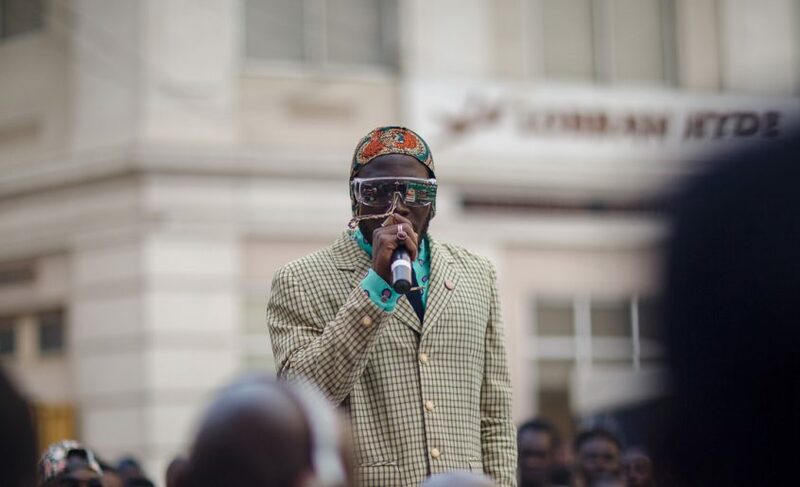 Like other African style influencers his narcissism is not simply self-congratulatory: he performs it with a conscious mind, to inspire and enact social change. 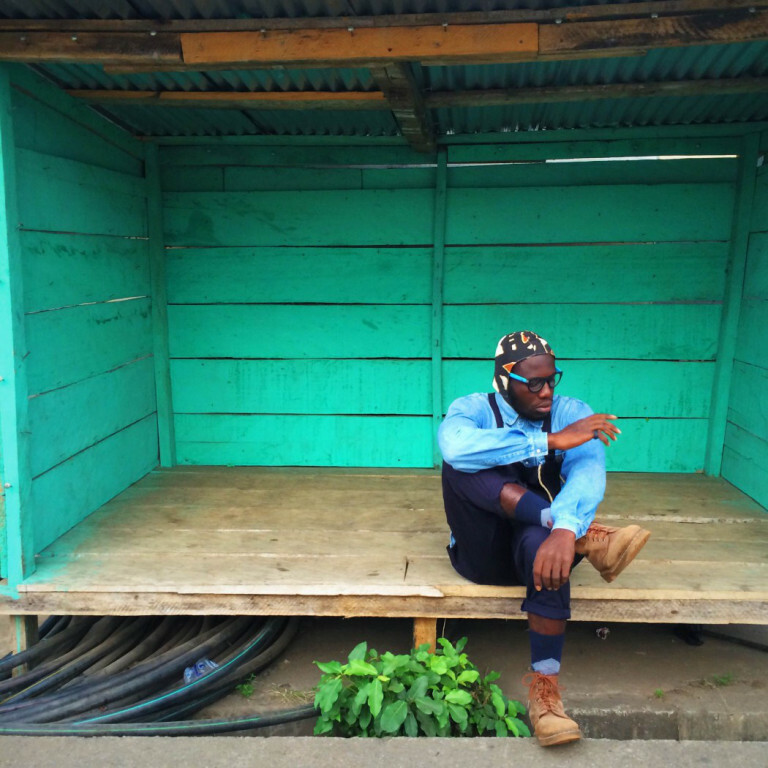 Discussing his single “Fashion Statement” with the transmedia platform Accra Dot Alt, the DJ says that the song “helps change along” in Ghana. 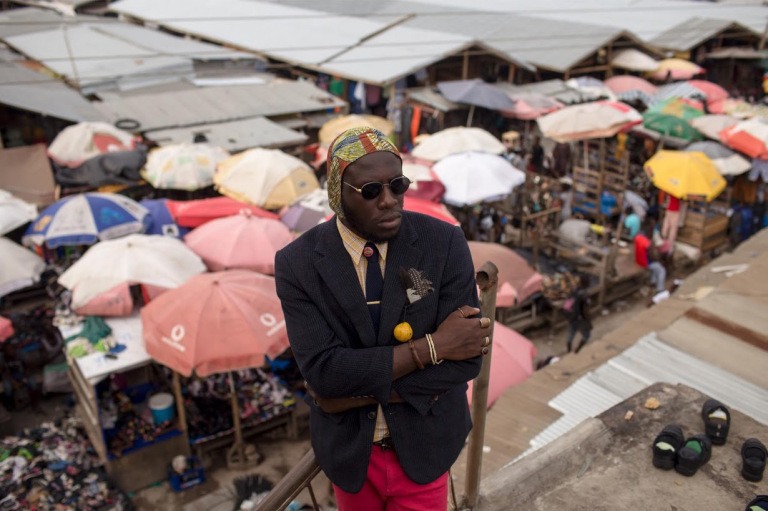 And indeed the song’s video shows young Ghanaians – the DJ included – as they search for items at Makola Market in Accra that will transform them in walking pieces of art. 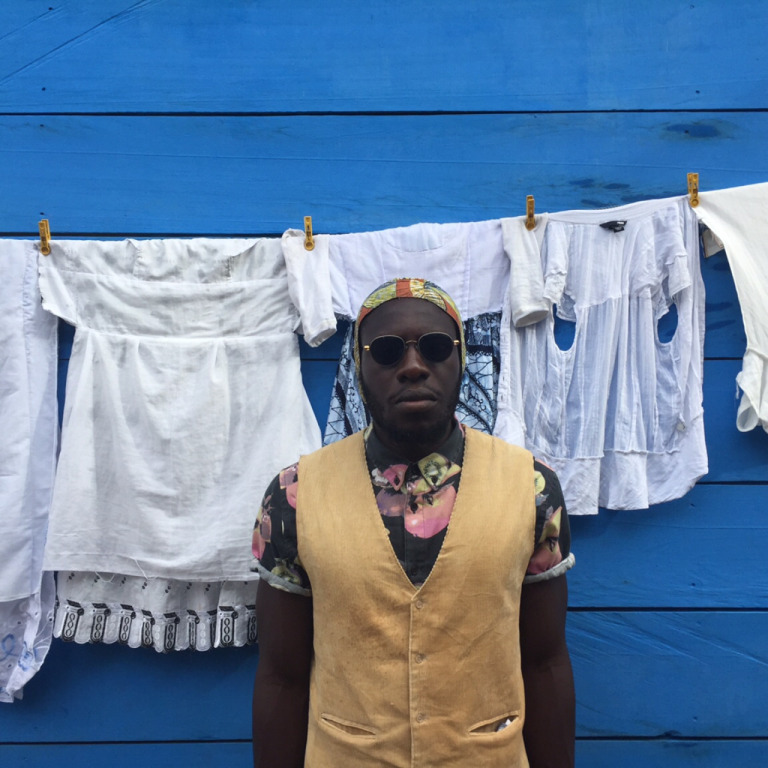 While the sapeurs turn the imitation of European fashions into an art, mobilizing performance, gait, and deportment to embody personal and collective memories of colonial and post-colonial alienation, Steloo practices originality. He makes no reference to history, but exposes the African body as the site of an active and uninhibited evolution. 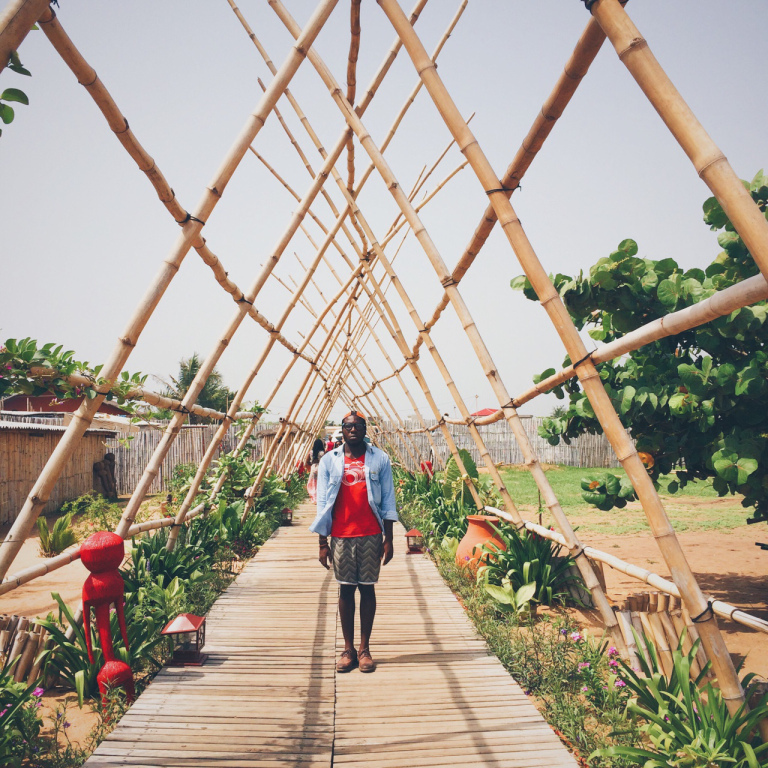 If fashion, like music, is a “technology” of being, see this quote, self-fashioning as techne is a way to re-wire and re-invent the present in a democratic way and starting from the streets of Ghana. 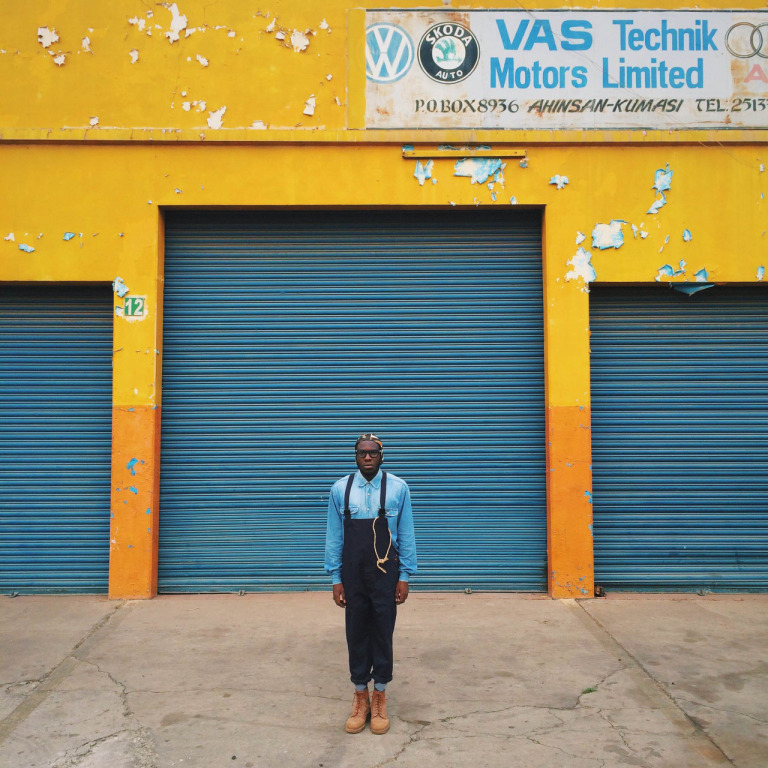 In this respect, it could be said that Steloo’s artistic performance conjures a fashion utopia driven by the powers of anonymous blipster-prophets whose self-telling through clothes anticipates and at the same time actualizes a future of possibilities for young Africans.